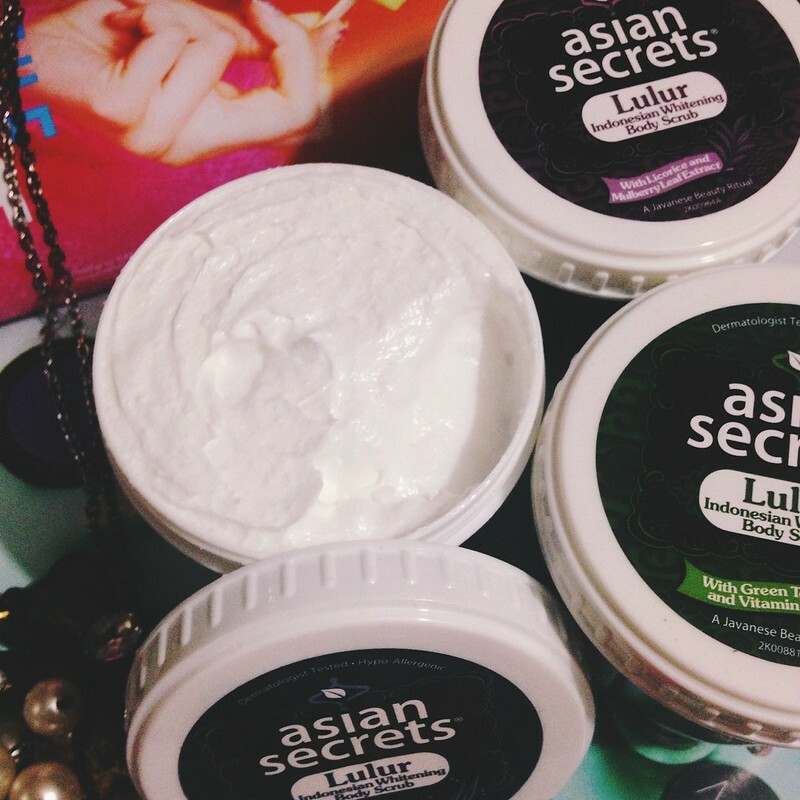 Review| Asian Secrets Whitening Lulur Body and Facial Scrub: Create your Spa at Home! Since I need a pick me up after my weekend, I think it would be a great time to post a review which makes me feel good. 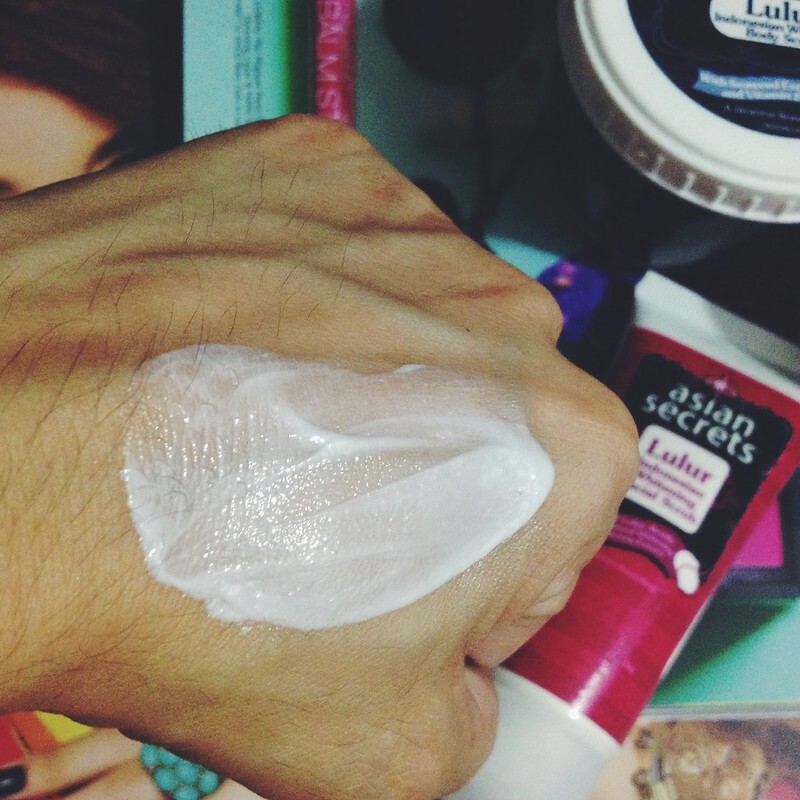 I once bought the Asian Secret's Whitening Facial Scrub at the time of my visit to their spa in SM North Edsa which was like a year back and I was given a full size sample of their Body scrub. The reason I initially bought the facial scrub was because I was starting to get pigmentation and my facial skin color was becoming uneven. I wanted to make sure that it wouldn't get worse most especially that I was going through the aging process. Luckily, I got a chance to review the whole line of body scrubs in all its splendor, more pampering time at home for me! If you are like the full-time working mom with a sideline plus kids in school. Then the trip to the body scrub spa seems so hard to reach. Thank heavens for a bath room with privacy, you can scrub yourself happily as needed. Lulur is a 300 year old whitening ritual experienced by brides-to-be, 40 days before their wedding which was primarily enjoyed by Javanese royalty. 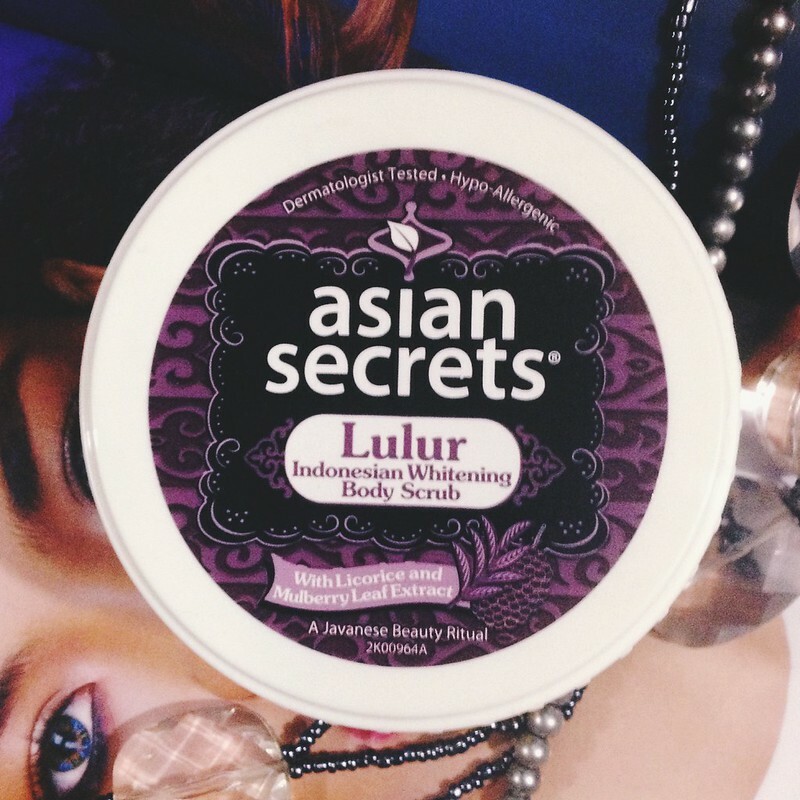 This has been passed down by generations but now exclusively available at The Asian Secrets Whitening Spa and in the comfort of your home with the use of their products. Contents of Jar - completely full! You definitely get your money's worth. 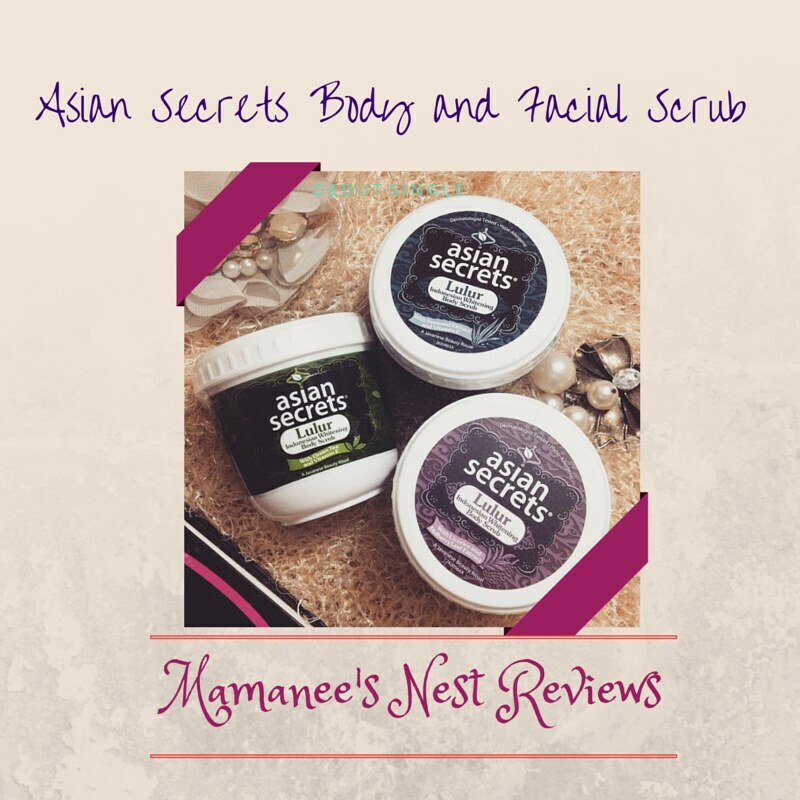 The Asian Secrets Lulur Body scrub tubs come in 3 variants: Green Tea with Vitamin E, Seaweed Extract with Vitamin E and Licorice with Mulberry Leaf Extract. - If you need a skin detox, this is your best bet. Green tea is known to be an antioxidant and it will flush away the toxins from your skin caused by pollutants that can lead to skin disease and aging. - 600 years of being valid as a beauty product and known for its nourishing, moisturizing and detoxifying properties. You get a combination of amino acids, vitamins, minerals and fatty acids to fight against skin irritation and inflammation. Looking for an anti-aging product? This variant is definitely your choice. 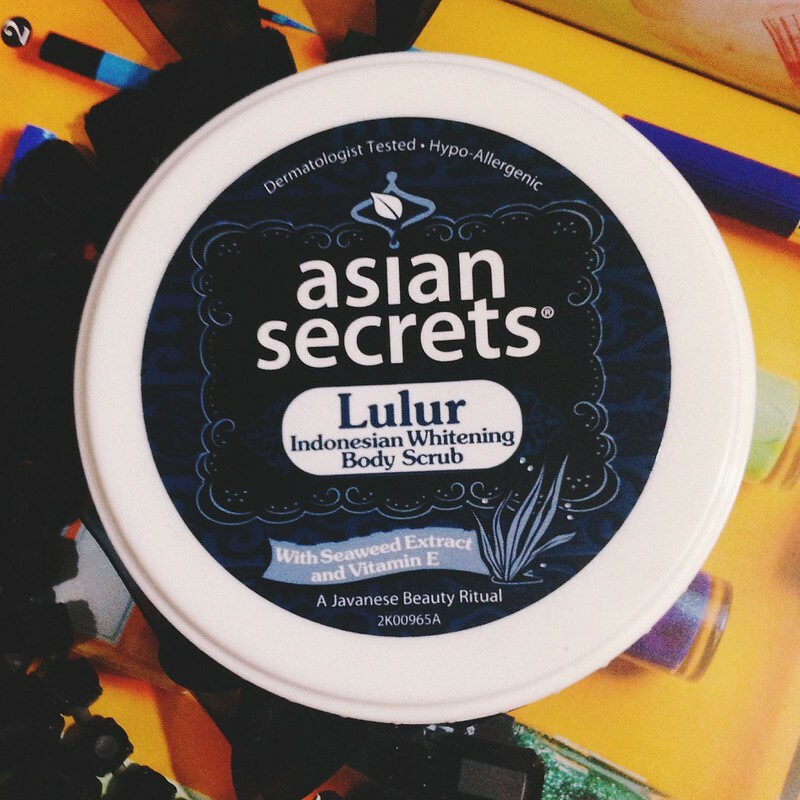 Asian Secrets Lulur Body Scrub - with Vitamin E and Licorice with Mulberry Leaf Extract. - Licorice contains Galridin, which causes skin lightening and brightening and combined with Mulberry this doubles the whitening effect for your skin. If you are looking to fight body acne, choose this variant since it also contains anti-inflammatory and anti-bacterial components. Facial scrub beads don't show in photo but you can definitely feel them while rubbing. 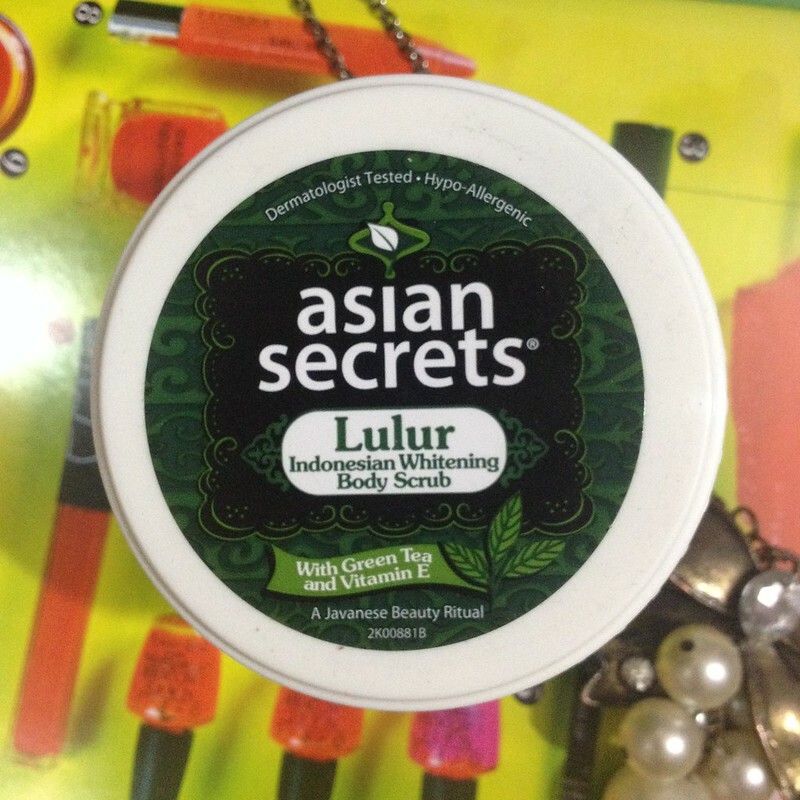 Asian Secrets Lulur Indonesian Whitening Facial Scrub with Lulur beads and Natural Whitening Bengkong Extract. - This facial scrub allows you to gently remove dead skin cells to reveal healthy brighter skin. - Price: Php70/50g tube Php120/100g tube. The great thing about this product line is that it is dermatologist-tested as well as hypoallergenic, so it is surely safe for your sensitive skin. - Ease of use. All you have to do is before you wet your body scrub the areas which you would like to whiten and smoothen and because the mixture is grainy you can definitely feel the exfoliating properties. Then rinse! No sticky feeling after. - Scent. Each has it's distinct sent, with the Green Tea variant being the strongest, next the Licorice with Mulberry extract variant and the most mildly scented is the Seaweed with Vitamin E variant. All which linger on your skin even after your bath. - Packaging. Ergonomic and simple. Sturdy tubs with a screw on lid and a tube that can be easily squeezed. - Price. So affordable. Yet the product goes a long way. Keep a look out for this promo pack! 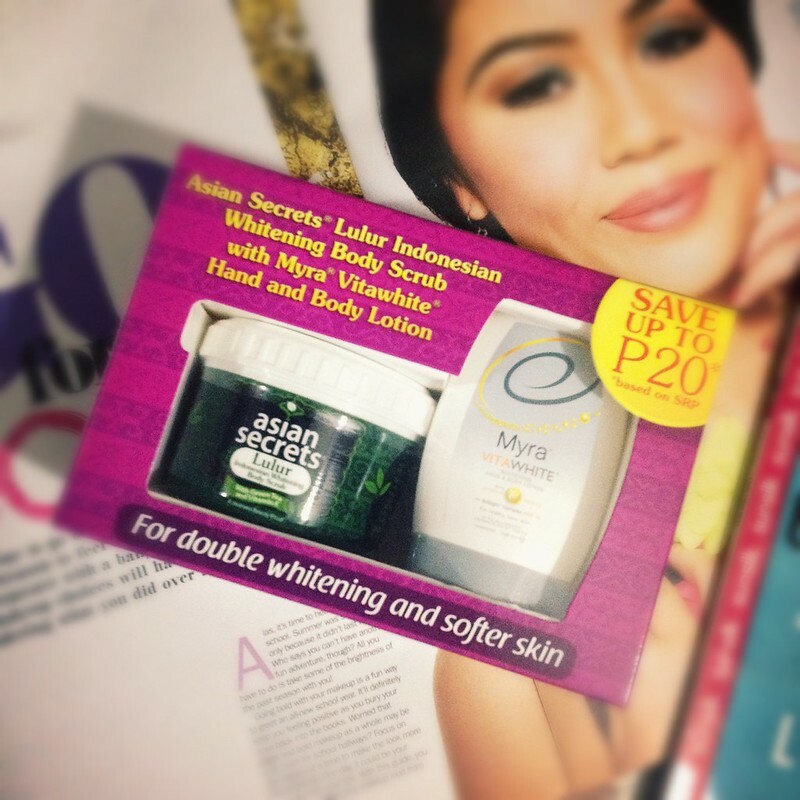 Asian Secrets Lulur Whitening Facial and Body Scrub is a product of Unilab Philippines.